Everyone thinks you’re crazy. Your siblings call you insane for how much planning you put into reservations. Your friends can’t believe where you’re willing to travel for a trending restaurant. Your parents aren’t allowed to know how much money you spend on tasting menus. So it might be best to keep your trip to Svalbard a secret. Svalbard is the northernmost place in the world with a permanent population. It’s part of Scandinavia, a part of Northern Europe with which you’ve become quite familiar. It’s an unincorporated Norwegian archipelago, which sits above the Arctic Circle, halfway between the mainland of Europe and the North Pole. Glaciers cover 60 percent of the islands. The islands were first used as a whaling base in the 17th and 18th centuries. Coal miners and a real settlement followed in the 20th century. It’s now an adventure lover’s paradise with seven national parks and 23 nature reserves. Boats and snowmobiles are the primary modes of transportation; there are no roads between villages. Plus, since there are more polar bears than people, rifles are carried just in case. Longyearbyen is the de facto capital of Svalbard. The settlement—it can barely be called a town, much less a city—lies on the west coast of Spitsbergen, the largest island. It sits in the Longyearbyen Valley, a ravine in between Platåberget and Gruvefjellet mountains and the bay Adventfjorden. It’s home to about 2,100, mostly Norwegian, people. They spend the year bouncing between extremes: four months of complete darkness during the polar night and four months of never-ending sunlight during the midnight sun. Thankfully, the isolated people have museums and galleries, cafes and breweries to keep them occupied. They also have an amazing restaurant. Huset (House) isn’t new. It’s in Nybyen (New Town) on the outskirts of Longyearbyen. It originally opened in 1951 as a coal miner’s community hall and a cafe that became the heart of town. The restaurant officially opened in 1977. It started amassing an impressive wine collection—now totaling more than 20,000 bottles—in the 1990s. 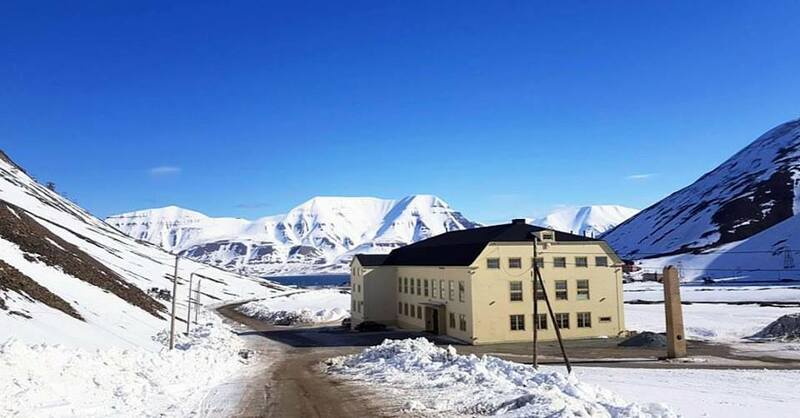 It’s become the northernmost fine-dining restaurant in the world. It’s even received awards from Wine Spectator and the White Guide Nordic. Huset’s dining room is small, cozy, and very Scandinavian. The skin of a huge polar bear stretches across one wall. Windows overlook the still-snowcapped mountains. While simple tables are only topped with necessities. 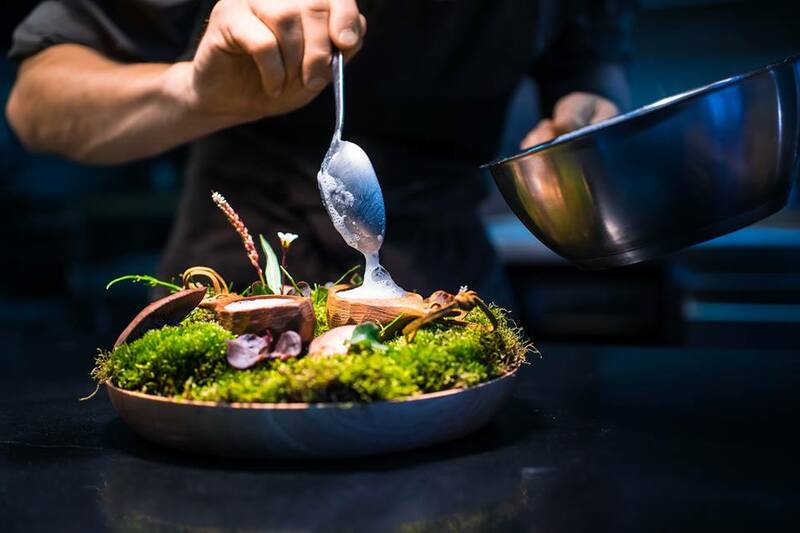 The Nordic tasting menu is anything but simple, though. The meal starts with Swedish gubbröra, an egg-and-anchovy salad that shows off Nybyen quail eggs and Arctic roe. A bearded-seal tartar, an egg, sea buckthorn and spruce, Isfjord cod, and Lappland reindeer follow. They’re paired with Rieslings, Viogniers, Grüner Veltliners, and Syrahs. Each dish is more complex and sensory-driven than the last. It’s too bad you won’t be able to share your excitement with everyone back home.